SIMS is a powerful analytical technique which allows detection of all elements from H to U with excellent sensitivity. 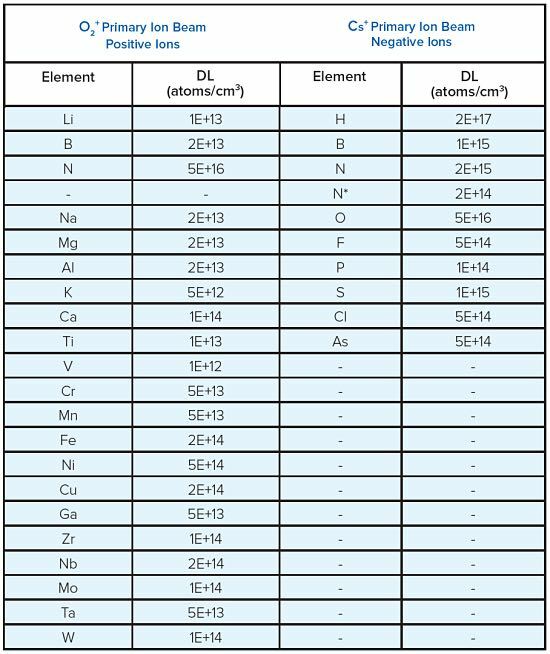 The table provides a list of typical detection limits for impurities in a SiC matrix. These detection levels are for normal depth profiling conditions of blanket wafers.